Ninety-five years ago today, a powerful tornado struck southeastern Wilson County, killing an African-American teacher walking to her school and injuring others. Arzula Falke —Arzulia Mitchell Faulk. In the 1920 census of Wilson, Wilson County: at 210 Pender Street, barber Hiram Faulk, 44, dressmaker Arzulia, 40, and daughter Marie, 14. Arzulia Faulk was killed 7 March 1922. 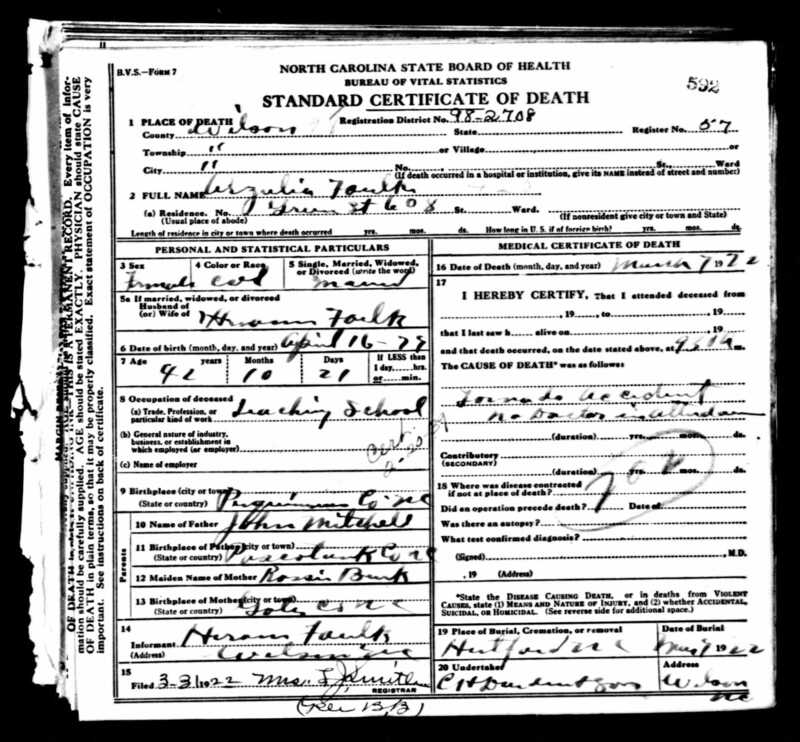 Per her death certificate, she was born 16 April 1879 in Perquimans County, North Carolina, to John Mitchell of Pasquotank County and Rossie Kirk of Gates County; was a teacher; and was married to Hiram Faulk. She was buried in Hertford County. Wilson Daily Times, 17 March 1922. Evansdale community today, which lies between NC-58 and Old Stantonsburg Road just past the halfway point between Wilson and Stantonsburg. Evansdale United Methodist Church stands left of the yellow circle at the intersection of Evansdale Road and Graves Road. 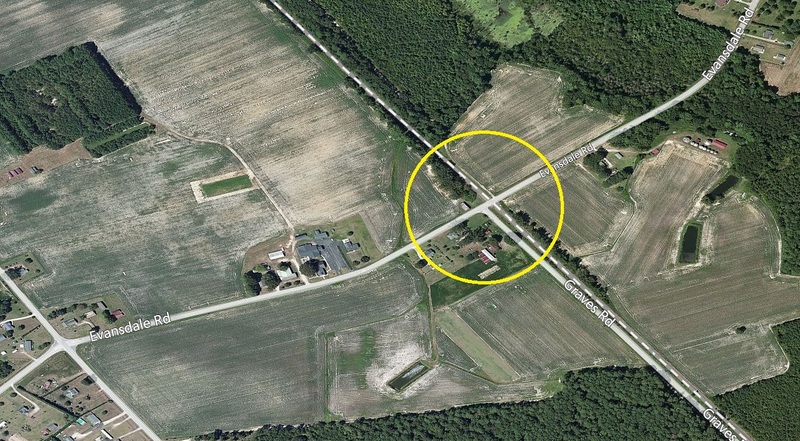 The Norfolk & Southern Railroad is marked by the diagonal line. The long abandoned brick shell of a country store stands on the north side of Evansdale Road, nearly opposite Graves. I imagine that Faulk and the other teachers got off the train from Wilson here. I do not know the location of the school at which they taught, but there was a Rosenwald school called Evansdale School.